One securities analyst says, "The nightmare of health care continues." At least three securities analysts stopped encouraging clients to buy Community Health stock. (Bloomberg) — Community Health Systems Inc. (NYSE:CYH) shares fell as much as 33 percent after the hospital chain’s preliminary earnings report disappointed, leading analysts to cut their ratings on the stock because of diminishing benefits from the Patient Protection and Affordable Care Act (PPACA). The stock fell to $29.04 at 9:36 a.m. in New York, down 28 percent. They had fallen to $27.10 earlier, the lowest intraday price since November 2012. HCA Holdings Inc. (NYSE:HCA), the biggest U.S. hospital chain, and Tenet Health Systems Inc. (NYSE:THC) also fell. HCA said last week that its quarterly earnings would be hurt by an increase in labor costs and uninsured patients. 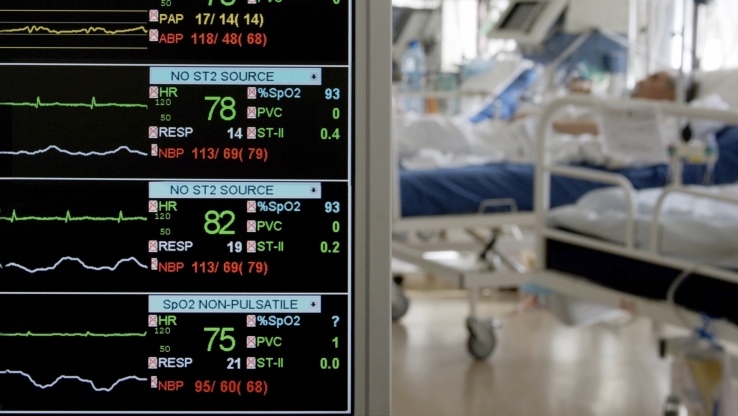 The sustained poor results from hospitals suggest that the benefits of health reform in the United States have run out, said Sheryl Skolnick, an analyst with Mizuho Securities USA. “The nightmare of health care continues and we’re now convinced it is time to get out of the way,” she said in a note to clients, cutting her rating to neutral from buy. Raymond James analyst John Ransom and Chris Rigg of Susquehanna Financial also cut their ratings to the equivalent of neutral from buy. Tenet, based in Dallas, fell 15 percent to $29.58. HCA, based in Nashville, dropped 4 percent to $68.39. Community Health’s third-quarter adjusted earnings before interest, taxes, depreciation and amortization, or EBITDA, was about $661 million, down from $750 million a year before, the Franklin, Tenn.-based hospital chain said in a statement late Wednesday. Analysts had projected EBITDA of $759 million on average. Revenue was about $4.85 billion, the company said, compared with the $4.98 billion average of analysts’ estimates compiled by Bloomberg. The company is expected to report full results Nov. 2.